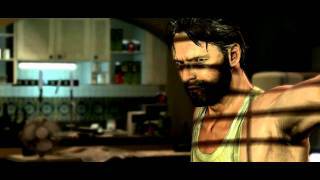 It was with caution that the fans of the series looked upon the very first screenshots of Max Payne 3 a few years ago. A new setting, plot, and a new look for Max had many worried about the direction that the title would take place in the hands of Rockstar Games. As it turns out, many of those fears were well-founded. While Max Payne 3 isn’t a bad game by any stretch, this isn’t the Max Payne we once knew and loved, and even if you attempt to accept this title as standalone, gameplay issues hold it back from greatness. If you’ve never played the original two games, you should be OK heading into this one. The game’s plot and mechanics perform without issue as a standalone experience, and apart from a number of references in Max’s dialogue, there’s nothing here that requires familiarity with the originals to enjoy. On the other hand, if you did play and like the first games, Max Payne 3 comes across as a very mixed bag. There are some incredible high points in both story and character interactions, but they can only work if you completely let go of Max as you once knew him and fully embrace this, sometimes generic, badass bald dude fighting in the middle of Brazil. When all hell breaks loose, and you finally let go of the notion that this is Max Payne, the game really does pick up steam and can be thoroughly enjoyable. It seems a clear case of taking the Max Payne name and retrofitting it to a world that was already designed, and probably existed for a new IP. And as much as you try to embrace this new character, however, the game continuously attempts to pull you back in and remind you that this is what Max has become – whether it’s with familiar soundtrack or constant references to plot elements from the original games. And that’s probably the biggest issue; Max isn’t who he once was, and the change from dark and snowy streets of New York to a bald, aging man engaging in gunfights in a tropical country is simply unnatural. The game would have simply been so much better off if it picked a new protagonist, or at least stopped constantly reminding us of this character’s past persona. As such, your overall enjoyment of the campaign is largely dependant on your ability to embrace this new image - or if you’ve never played Max Payne previously, you’re probably fine. 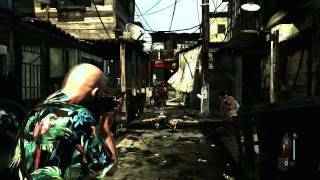 Max Payne 3 picks up some time after the events of the previous game. Max, now completely hitting rock bottom with alcohol and pills addiction, is offered a chance to escape his old life. Before he can decide, a series of events makes New York no longer a safe place to live, so he has no choice but to accept the offer from Raul, who is a former acquaintance and also an ex-cop. Max finds himself in Sao Polo, Brazil, protecting a wealthy family as a private gun for hire. His habits aren’t really getting any better, and it isn’t until the wife of the man he is protecting is kidnapped that Max snaps out of it. From there, we see Max rather quickly become involved in something far greater than a simple kidnapping. There are many elements in the campaign that reference Max’s past, as he is once again trying to save a woman in his life. Except that he isn’t, really. One of the key factors in Max’s terrors has been his personal connection and affection for the suffering that he has caused. 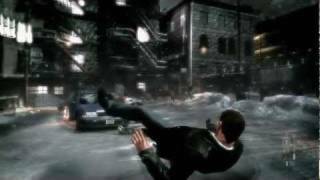 Max Payne 3 lacks this – there is nothing holding Max except his own twisted desire to save everybody, which falls flat and is nowhere near as strong a motivator to keep going. Max literally feels like he’s just being told what to do the whole game, whether it’s due to his own ambition to set things right or direct hints from others. He’s not really the lonely, tormented character anymore, instead just a guy with hidden suicidal tendencies, trying to play a hero for some people he doesn’t even like. Max Payne 3 is ranked #532 out of 1434 total reviewed games. It is ranked #58 out of 145 games reviewed in 2012.